PARIS — France isn't a member of the select club "five eyes" for intelligence sharing, but the nation enjoys close relations with both the U.S. and the U.K., according to French Air Force chief of staff André Lanata. The "five eyes" club is made up of Australia, Britain, Canada, New Zealand and the U.S., a concept that grew out of the sharing of radio intelligence between London and Washington during World War II. Asked whether political tension had hurt relations between the air forces of France and the U.S., Lanata said that operational ties between the two services are as close as "the width of cigarette paper." Click here to get full coverage from the Paris Air Show. The cooperation can be seen in the Middle East and Sahel sub-Saharan operations, with the U.S. supplying refueling and transport in the latter mission, he said. Another sign of closeness is French participation with the U.K. and the U.S. in high-level exercises such as Atlantic Trident in April, where the F-22, F-35, Eurofighter and Rafale flew, he said. "There is a quality and depth of this relationship," he said, with political disagreements not detracting from the fact that "there is a common interest in cooperation." Relations between the U.S. and France have been strained with the entry of new leadership in both countries. Those tensions extend to the U.S. and NATO collectively. 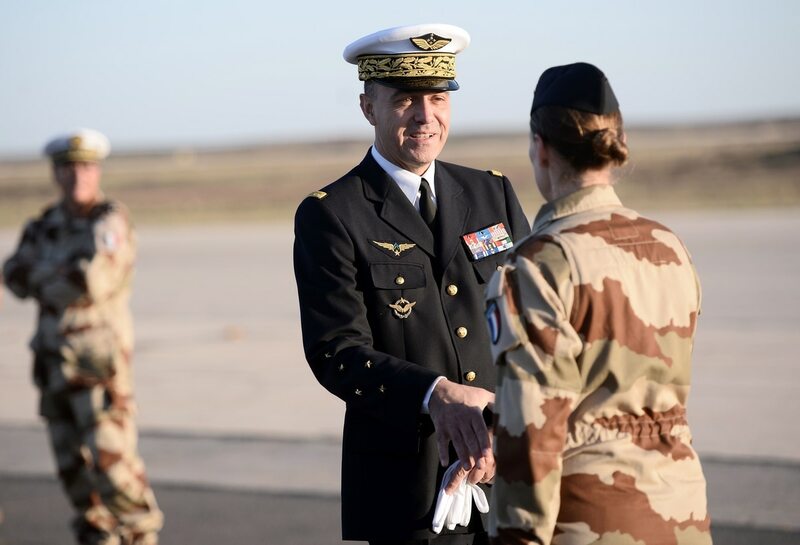 Jean-Paul Paloméros, a retired French Air Force general and NATO's former supreme allied commander transformation, speaks to the importance of the alliance and how politics should not cloud common interests. On the Future Combat Air System, a major project with the U.K., there might be a financial effect from Brexit, but it is too early to say what the consequences might be for the service. "Nothing has changed on the project," he said. "I would go so far as to say that on the military level, Brexit has strengthened the extremely close bilateral ties. Just because the British have opted to leave the European Union, that does not mean the concerns over European defense have faded away." Of course, cooperation with allies extend further. India and Qatar have requested and will pay for specific equipment for the Rafale, allowing the French service to receive the kit without having to pay for the modification. And India reportedly asked for a helmet-mounted display. Such deals are significant: The Rafale exports fund the "defense ecosystem," by freeing up the French budget to finance other arms programs, Lanata said. Under the present multiyear defense budget, deliveries of the Rafale to the French service will resume in 2020 without having received any in 2018 and 2019. The new F3-R standard will be retrofit on existing Rafale next year and then will be delivered on the new aircraft in 2020.